Commercial photoshoot for Flying Flags RV Resort and Campground in Buellton California. 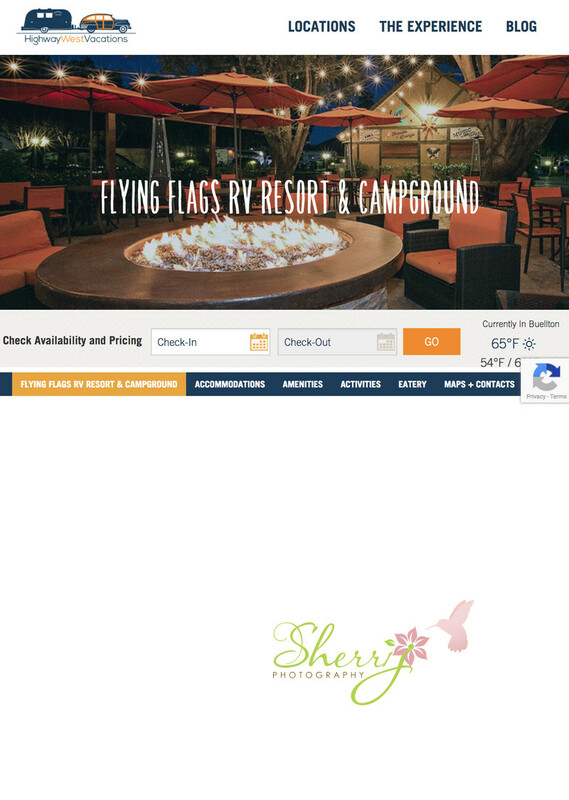 Main image on their website was taken at twilight with large community firepit and twinkling overhead lights. Additional images captured all accommodations including luxury wine cottages, vintage airstream campers, glamping tents, open areas for RV and tents, include amenities such as pool, jacuzzi, children's play area, dog run, restaurant, and gift shop. Photoshoot was over the course of two days with Los Angeles based photographer Sherri Johnson. Location: 180 Ave Of The Flags, Buellton, CA 93427.